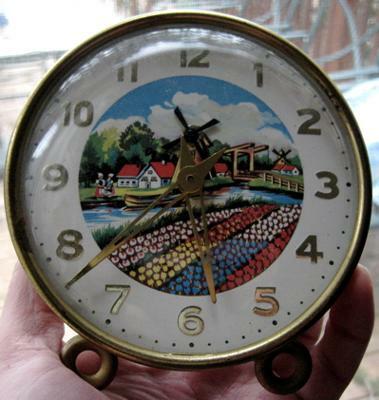 Brass and glass wind-up clock with Holland scene on front and the word FOREIGN (all caps) imprinted on back, no other markings. Width: 4.75 in. Received from an elderly woman last year ... Thanks for any info or evaluation for this cool clock!